The best way to enhance website sales is to pay attention to the needs, and desires of customers, explained the late, great Steve Jobs during a TV interview shortly before his passing. Jobs and other individuals and entities that helped pioneer the so-called digital age and culture regarded websites as being much more than just online company fact sheets. 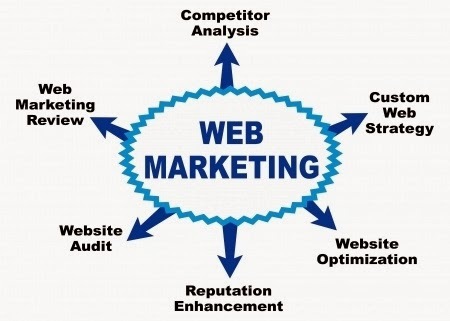 As a result, there is now a worldwide cyberspace industry that has been created to improve the sales effectiveness of both business and personal websites by boosting “hits” or favourable organic search results, thereby increasing visitor numbers and, as a result, the revenue generated by these sites. The desired improvement in search engine ranking is now achieved by the posting of informative, highly relevant well-written copy by professional copywriters into websites. Search engine optimisation campaigns are also aided by the correct use of social media and Google Authorship. Another aspect of increasing sales online, for a business website, is linked to using a search engine optimisation professional (SEO). They are skilled in the online art of boosting sales exponentially by using various techniques. This can be useful but is not a substitute for a website that is highly relevant to its visitors’ needs that carries engrossing and engaging copy and is easy to navigate. The goal of any successful business related website – in this day and age when online sales and marketing is intensely competitive – is to place the focus on customers first and foremost. In turn, the site’s content should focus heavily on “you” and “your” when explaining how a product or service will benefit a customer or appeal to a need. Also, there should be a sense of urgency included in the website content and the other data that are designed to close a sale. For example, successful business sites often explain to customers that this is a “limited-time” discount, or that a limited quantity of items or services is now being offered; while also marketing a bonus or coupon to drive sales. There is a lot of marketing effort that goes into great sales content, but what about adding impressive looking media to a website. Video and photographs can make the products and services seem more desirable. This is a proven concept for boosting sales, say experienced website professionals when commenting online. Also, there is a widespread belief in website branding circles that nothing sells something quite like a great image of a product near the top of a website page. The call to action section of the website page is also extremely important to get right as hopefully it will persuade the customer to commit to a purchase. Overall, there are numerous benefits to be gained from creating a fully enhanced website that both attracts visitors, and then does the work of helping them decide on a product or service that is on offer.